This fascinating hand colored 1814 map by Edinburgh cartographer John Thomson depicts the Venetian States of Italy. This includes the area immediately surrounding the floating city of Venice: Trevigiano, Friuli, Padova, and Vicentino. 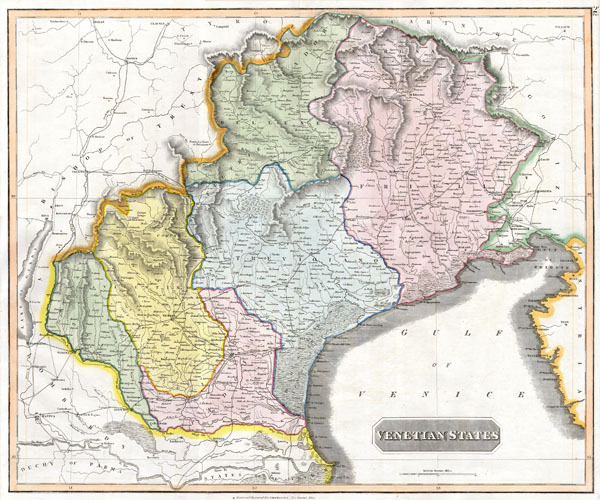 Extends to Trent in the north, Lombardy in the East, and the Papal States in the south.